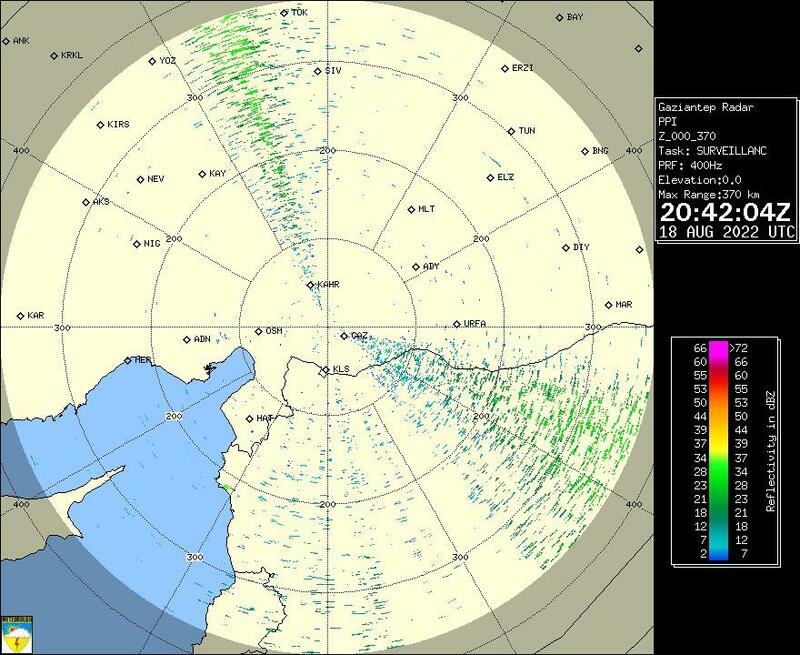 Radar images are published according to GMT zone (UTC). Our current local time Is 3 hours ahead of aforementioned time zone. For example, 20:06 UTC equals to 23:06 according to Turkish time zone.